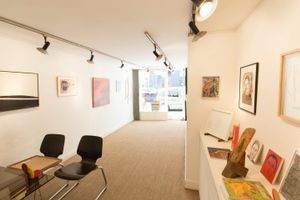 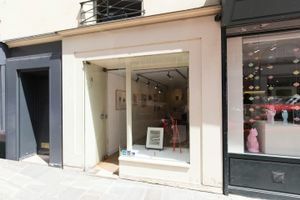 This cozy 24 sq m gallery in the prestigious area of Saint Germain des Prés is ideal for exhibitions and pop-up stores. 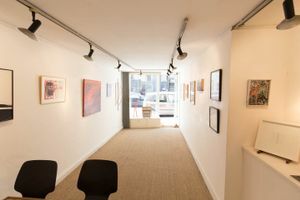 With tidy and modern interiors of white walls and a beige carpeting, this space has a creative and professional atmosphere. 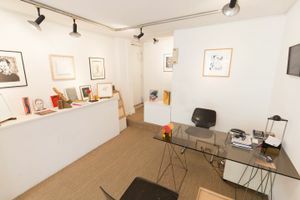 The contemporary adjustable spotlights are perfect for product display and the large glass frontage allows light to flood into the space whilst providing a fantastic opportunity for window displays. 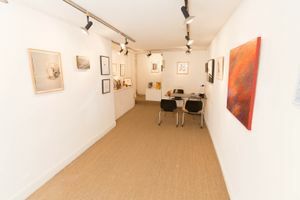 This gallery is surrounded by many reputable independent art galleries, a stone's throw from Musee Eugène Delacroix and the sublime Quais de Seine and in an affluent area.